Constant Contact is one of the most popular email service providers used by e-commerce sites to promote their businesses. I asked Constant Contact to give us some tips on how to increase the effectiveness of email campaigns from ABA members. They provided some interesting data and forwarded a few suggestions. The email open rate is the percentage of emails from you that are actually opened by your customers. According to Constant Contact, the retail industry average open rate over the past 2 months has been around 15%. During that same period ABA members saw a significantly higher average open rate of about 20%. 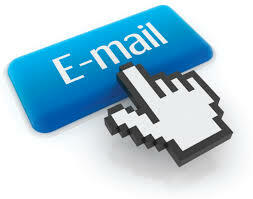 One of the most effective ways to increase your open rate is to have a compelling subject line in your email. People won’t act unless told to do so. Your subject line will be the first impression your email has on a reader. Making it your first call-to-action will improve the likelihood of that action being taken. People are skeptical of most emails. The best way to overcome this skepticism is by thinking about why your subscribers signed up to receive your emails in the first place. People don’t like wasting time. When it comes to your subject line, you have only a few seconds to capture their attention. Keep it short and simple! This change only affects destination based sales tax. Tax look up will first check for a city and zip code match. If there is no match (if the city is wrong or has the wrong spelling), our system will now look for zip match only. If there are several matches, we will use the highest rate to calculate the sales tax. Webinars are offered Tuesday, 2 pm to 3 pm, ET and repeated on Thursday from 11 am to noon, ET. For all webinar information - dates, topics, sign-up links - please visit the IndieCommerce Webinar page on BookWeb.org. We received some excellent ideas and great feedback for the upcoming IndieCommerce Institute in Chicago on May 10th, which will feature an advanced user track and a general user track. The curriculum, pricing and other details will be posted on BookWeb.org in about a week. I'll include details in upcoming issues as they become available. I look forward to seeing you there.